Complex Says: If this is what family sedans will look like in 2107, we&apos;ll be very disappointed. No, that wasn&apos;t Russian carmaker AvtoVAZ&apos;s intent when naming this vehicle, but we still felt the need to have that on record. Ladas were never formally imported into the U.S., but you can occasionally find a few in the hands of enthusiasts. Incidentally, 1986 was the year Hyundai entered the U.S. auto market. At the time, the companies shared some ideas: straightforward, basic transportation for not a lot of money. We&apos;re not sure of the details on this car, as the seller would prefer that you call him to discuss them. 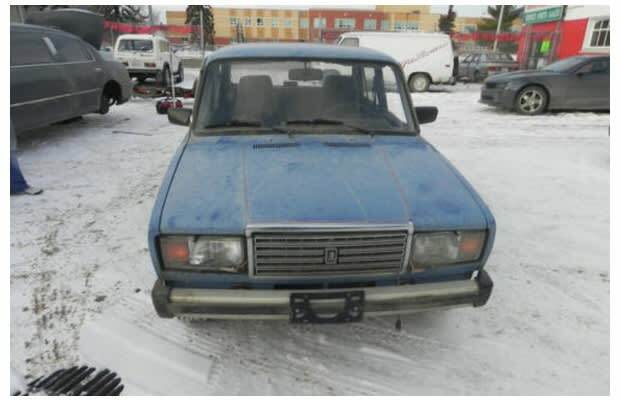 We are, however, pretty sure you can go for a fairly long period of time without passing another Lada 2107 on the street. That has to count for something.